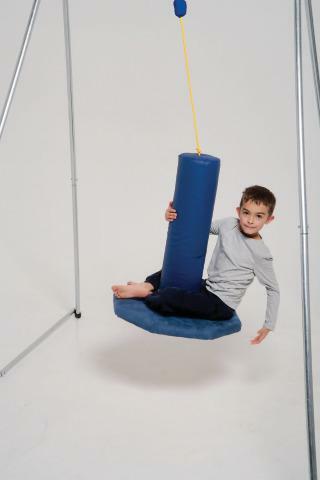 Moving while simultaneously hanging on to the pole stimulates both proprioception and vestibular senses. Made of durable, wipe-clean vinyl (pole) and soft microfiber (platform). Indoor use only. Weight limit: 199 lbs.